With bitcoin cash developers at each other throats, the year-old cryptocurrency might just split into two. Created from a hard fork off the original bitcoin network after the scaling debate boiled over last year, bitcoin cash stakeholders seemed unified in their goal of boosting the cryptocurrency’s block size parameter in the hopes of attracting more users and enabling more transactions. 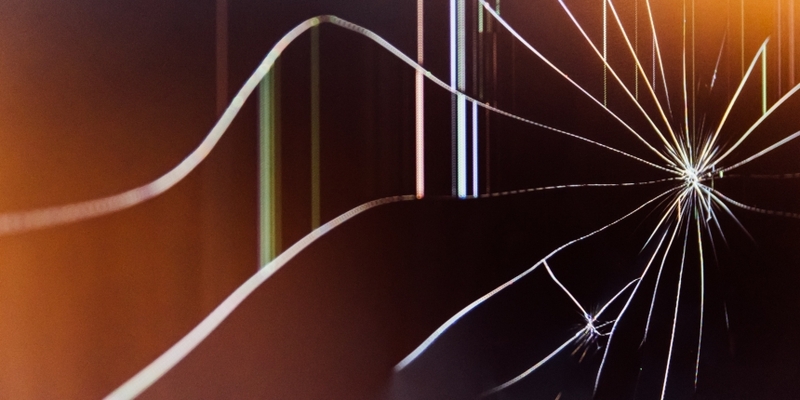 But a few cracks started to pop up in this united front over the past year, as bitcoin cash developers had one technical disagreement after another. And a new software release by leading bitcoin cash implementation, Bitcoin ABC, has been perceived by some as a subtle declaration of war within the developer community. The software includes a suite of upgrades, including a smart contract feature that would support atomic swaps, a way of trading one cryptocurrency for another without traditional exchanges. And while many cryptocurrency projects are excited about the idea of interoperable coins, some big names in the bitcoin cash community don’t agree with the changes and have – no surprise – been very vocal about it. Leading the opposition is Craig Wright, nChain CEO and the cryptographer who claims to be bitcoin’s pseudonymous creator Satoshi Nakamoto, though he’s not provided any proof of this claim so far. And he’s teamed up with Calvin Ayre, an entrepreneur and founder of crypto news site CoinGeek, to lead the resistance with a new bitcoin cash implementation called Bitcoin SV. Bitcoin SV scraps Bitcoin ABC’s scripts for its own – as well as pushes the block size parameter to 128 MB (bitcoin cash’s block size is currently at 32 MB). While infighting about the technical direction of a cryptocurrency is no out of the ordinary occurrence, this particular disagreement could have big repercussions for bitcoin cash. Bitcoin ABC and Bitcoin SV are incompatible software, and both groups behind the implementations are seeking to trigger new code changes in November. As such, if some bitcoin cash users run one software and others run the other, it’ll cause a chain split and create a new competing cryptocurrency. The fire underlying this technical debate was fueled by none other than one of bitcoin cash’s more prominent supporters – Wright. After ethereum creator Vitalik Buterin took the mic at a cryptocurrency conference to call Wright a “fraud,” many developers and other stakeholders in the industry started taking sides. For instance, many devs argue against nChain’s Bitcoin SV partly because they’ve started to distrust Wright’s judgment. Even Jihan Wu, the co-founder of mining hardware manufacturer Bitmain, who has been a proponent of bitcoin cash (his business holds a substantial stake in the cryptocurrency), joined many others on social media calling Wright “fake Satoshi” since they don’t believe his claims that he created bitcoin. Despite all this, though, Wright is far from alone in supporting the nChain implementation. Ayre promised in a statement to put all CoinGeek’s mining power towards it (the mining pool is the largest for bitcoin cash at press time), and Cobra, the pseudonymous owner of Bitcoin.org, took to social media to voice his opinion that those behind Bitcoin ABC are in the wrong. What’s getting lost in the debate, though, is that several notable bitcoin cash developers actually think both sides are acting out and would instead prefer to compromise. Besides BitcoinABC and nChain, there are still other bitcoin cash implementations, including Bitcoin Classic and Bitcoin Unlimited, two software implementations that actually predate bitcoin cash. And these veteran developers are skeptical about the two proposals getting the most attention. “Both ABC and nChain are trying to hard fork. Both of them are not giving any rationale why. Both of them are completely not responsive to any feedback or any compromise requests from the rest of the ecosystem,” wrote Bitcoin Classic lead developer Thomas Zander. And Bitcoin Unlimited lead developer Andrew Stone agrees. He’s not particularly swayed by either side, arguing that both developer groups don’t have the best interest of the end user in mind. “Given the ‘no changes, no matter how reasonable, except mine’ strategy being pursued by both of these organizations, I can only sadly conclude that this is again about power and ego not about technical merit and end-user adoption,” Stone wrote on a popular bitcoin cash forum. Instead, he believes bitcoin cash proponents need to “stick together,” and to that goal, he’s working on a code change that would allow Bitcoin Unlimited users to effectively vote on which set of changes they’d like to see activated. This voting system, he hopes, will help resolve not only this caustic debate but also similar situations in the future. Meanwhile, on Thursday, Cobra announced a similar effort called the Cobra Client. But rather than allow users to vote, the client simply removes all contentious code changes and replaces them with replay protection, a code change that will protect users from accidentally losing their money in the case bitcoin cash does indeed split into two. Yet, others, such as long-time crypto enthusiast and Bitcoin Magazine reporter Aaron Van Wirdum, remain pessimistic that a compromise will be reached.